Last year, Governor Larry hogan changed the start date for schools to after Labor Day. Now, some lawmakers want to reverse that action. ANNAPOLIS, Md. 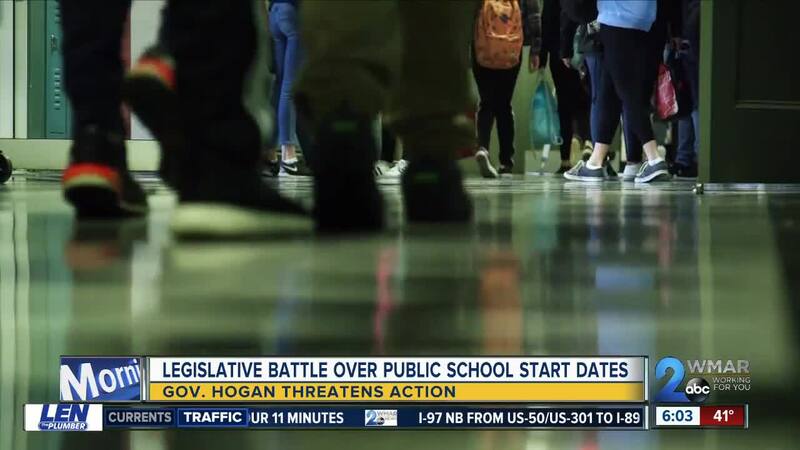 — Last year, Governor Larry hogan changed the start date for schools to after Labor Day, but now some lawmakers want to reverse that action. Governor Hogan says the idea to change the school start to after labor day was not his original idea. He says it was the idea of a commission set up by Governor O'Malley, his predecessor. "The commission voted 12 to 3 in favor of changing the school start date to after labor day," said Hogan. After the change last school year, Hogan says changing the school start time has produced positive feedback. "I can't think of any other action that has as much widespread enthusiastic support all across the state as this one does," said Hogan. And because of that feedback the governor says if the legislature tries to change the start date back to before Labor Day, the governor will submit a bill that says if a local jurisdiction want a new start date, voters in that jurisdiction must vote on it. 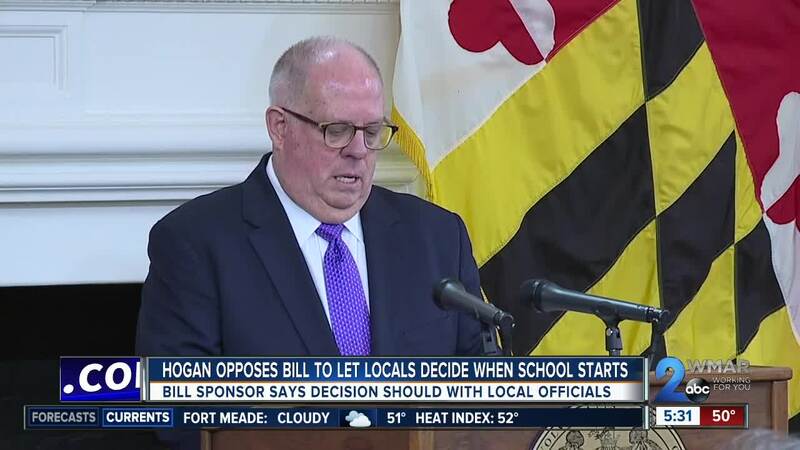 "And we will not allow misguided and misinformed legislators and special interest groups to turn back the clock and ignore the will of the people of Maryland," said Hogan. Some County Executives think this is a decision that should be made by local school boards, not the state. "I'm a former educator, I'm a big proponent. I actually personal like the start after but, it should be the decision of the local school board to make," said Johnny Olszewski. "The parents come to the school board and they talk about these issues and they want responses locally and I don't think there's no reason not to have local decisions on them. It's just basic democracy," said Steuart Pittman. The earliest there could be a statewide referendum is 2020. Governor Hogan said legislators are making a mistake and this is overwhelmingly what Marylanders want. He said he will do what he was elected to do and that is to follow the will of the people. "They're now playing political games to do exactly the opposite what everyone wants and that bothers me and I'm standing up for the people," said Hogan.